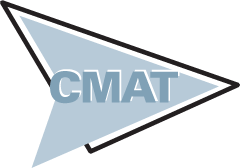 CMAT offers DBE participants the Short Take series, a set of videos that each offer additional information on a very specific topic. These videos are 5 to 10 minutes in length to get quick answers and additional resources. The videos are not intended to be all-encompassing and offer depth or detail about a subject, but to answer specific questions quickly. Current topics include how to become a certified DBE and how to stay a DBE. If you have an idea for a Short Take, please let us know. New Short Takes are constantly being added, so be sure to check back.